Digital Transformation in the Airport: What’s Your Next Step? If there’s anything about the aviation industry that we can be sure of, it’s that the process of airport digital transformation is not an “if”, but a “when” scenario. Many airports have already begun to embrace the notion of digital transformation in different forms like biometrics, self-service kiosks, and more sophisticated cybersecurity approaches. This evolution is gaining traction for many reasons: optimized operations for both the airports and airlines, improved passenger experience, and more meaningful utilization of data are just a few. While often seen as an obvious next step, the decision for an airport to embark on their digital transformation journey is one that’s not to be taken lightly. 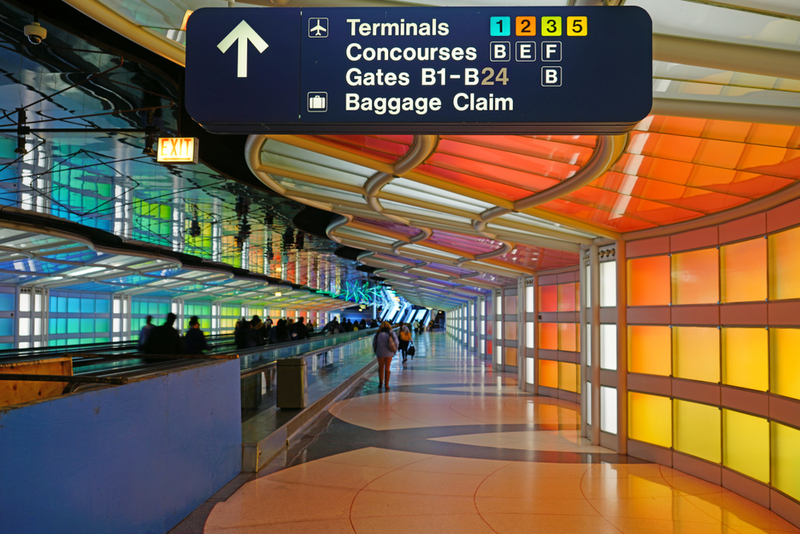 Airports like Chicago’s O’Hare International Airport (ORD) are investing billions in their digital transformation efforts, but the ROI in PaxEx and operational smoothness are expected to be worth it. According to an article on World Business Chicago, “The centerpiece of the new O’Hare plan is a new world-class international terminal, called the O’Hare Global Terminal, which will deliver a larger arrival facility and improvements to customs and immigration processing using new and advanced technologies for a seamless passenger connection experience.” ORD’s $8.5 billion transformation, specifically the decision to have each of its three international alliance partners operate within the same terminal facility, will make ORD the home of the first Global Alliance Hub in North America and one of only five globally. The airport digital transformation era is upon us – how are you planning to address new passenger and airline needs and expectations with the help of new technologies? Share your thoughts on this trend with us on Twitter at @ConnectAVNToday.